While the Ford F-150 EcoBoost V6 engine get all the headlines these days, the 5.0 liter V8 on the F-150 option list still lands in the driveway of nearly a third of all buyers. It’s not the top option, but a mid-range choice for those not so hot on all these turbos and small displacement engines. 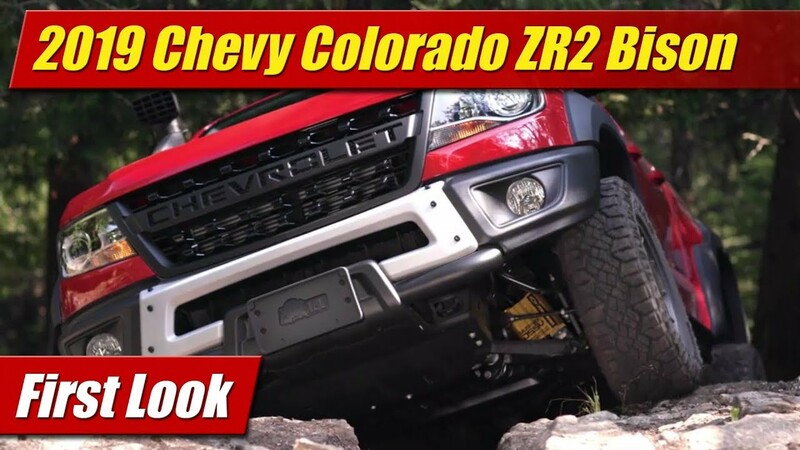 And while the 5.0 liter V8 in the F-150 does offer more horsepower than the 3.5 liter EcoBoost V6 at 385, it has quite a bit less torque at 387 pound-feet. The twin-turbo V6 cranks out 420 pound-feet this year, and next will have a whopping 470. In a twist of logic, the larger V8 makes both its horsepower and torque at significantly higher rpm than the EcoBoost, 750 rpm higher on the horses and a staggering 1350 rpm higher for the torque. 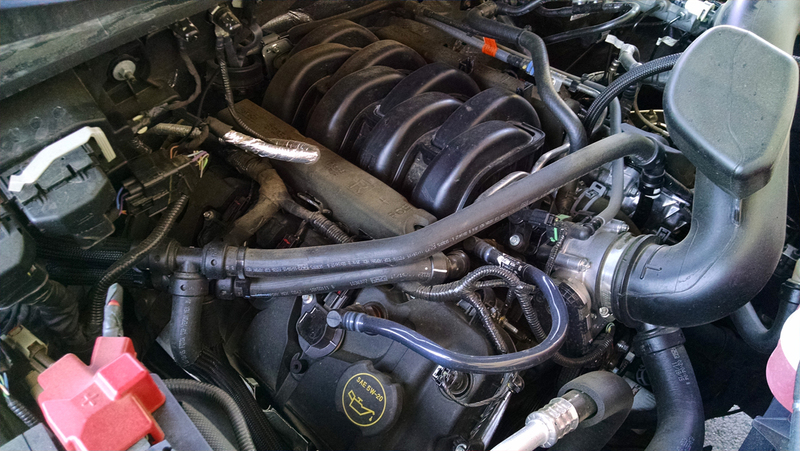 You actually need to wind the V8 out higher than the smaller V6 to get what you need. All this said, the 5.0 you see here is very close to that found in the Mustang GT, but has a milder tune and some beefed up hardware for truck duty. 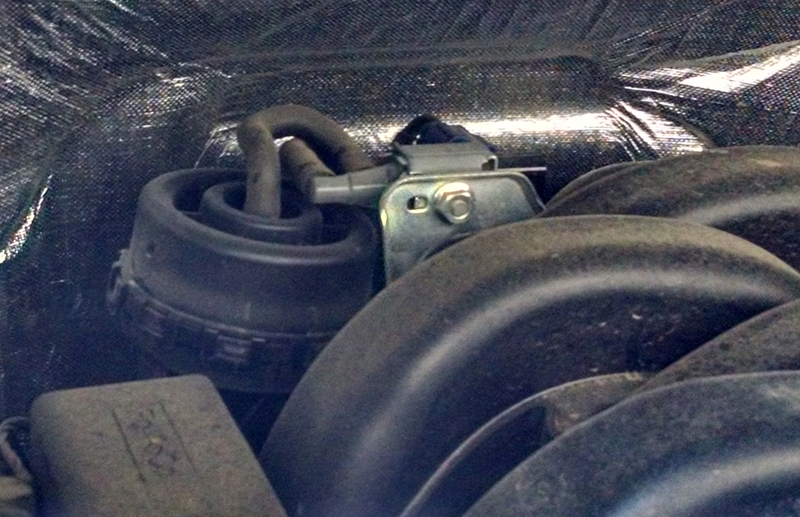 Extra coolers can be seen down below, and a larger sump can hold 8 quarts of oil. 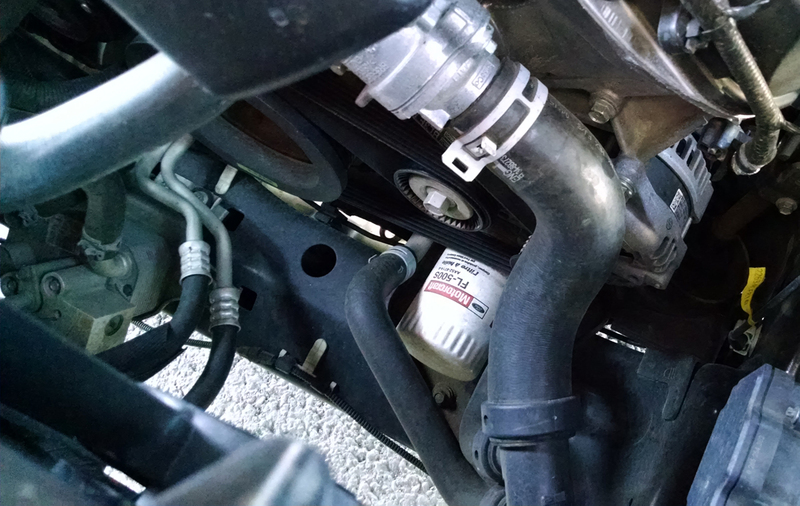 And the oil filter is mounted differently than on the Mustang – down low where you can get to it and actual get a filter wrench around it. Up on top, air comes in through a large snorkel above the grill and into large filter box then through a sound engineered tube to the single throat throttle body at the front of the intake. The composite manifold is similar to the Mustang’s and has a vacuum operated charge motion control valves. The compression ratio for the Ford F-150 5.0 is lower than the Mustangs at 10.5:1. This enables it to work under load better on regular unleaded. Dual overhead cams are variable in timing for both intake and exhaust ports. 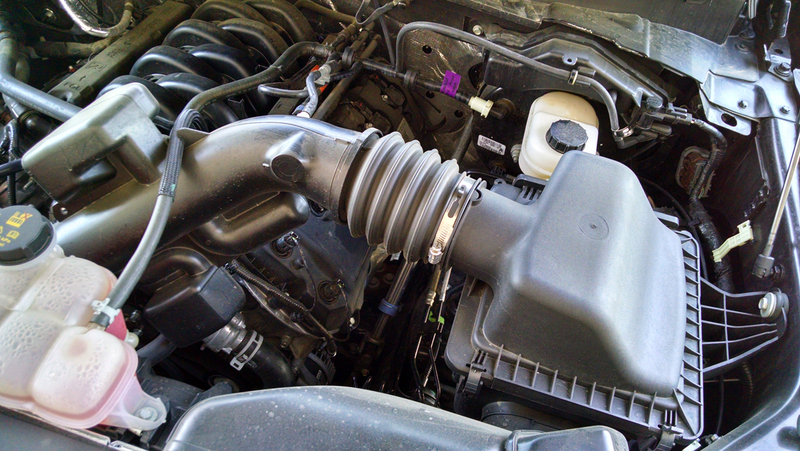 Servicing the F-150’s engine can be done entirely from up top with exception of that oil filter. 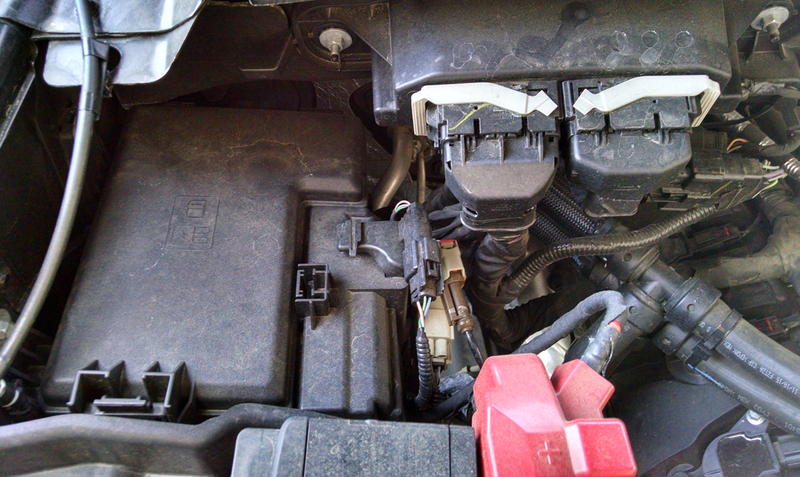 Coolant is front and center with windshield washer fluid off to the passenger side next to the 12-volt battery. The main fuse panel is off behind those two. Brake fluid is checked and filled at the back of the compartment up against the driver side firewall. The air filter box is easy to get too and flips right open without too much drama. 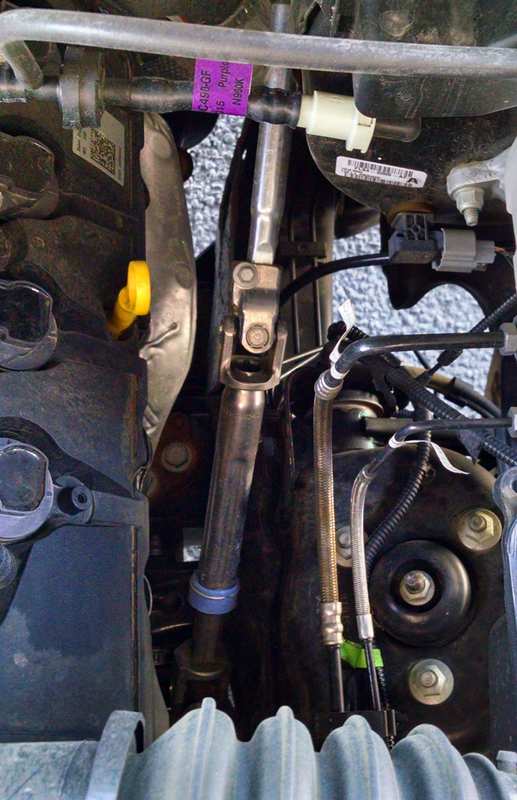 The oil dipstick is on the driver side of the engine, the oil fill on the passenger side. 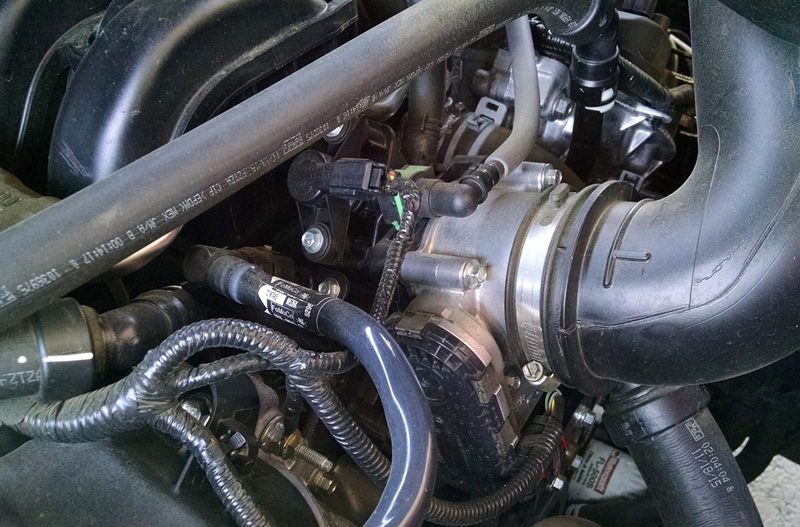 There is no power steering fluid to check as the Ford F-150 has an electric power steering rack. 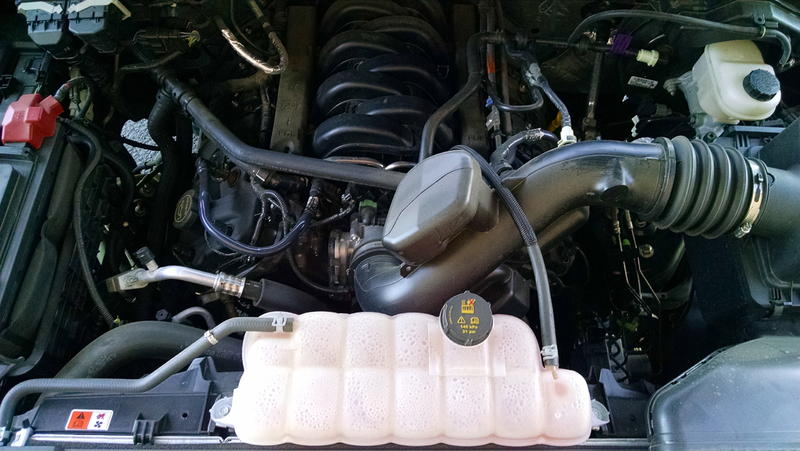 And while this engine is not E85 compatible you can option a prep package to run it on either compressed natural gas or propane.